It’s the perfect time to get cosy at a supper club, sharing good food and conversation with friends, or people you’ve just met. Communal tables and sometimes sharing plates are the norm, so they’re great for singles and people new to the area, as well as date nights with a twist. Many have interesting themes. 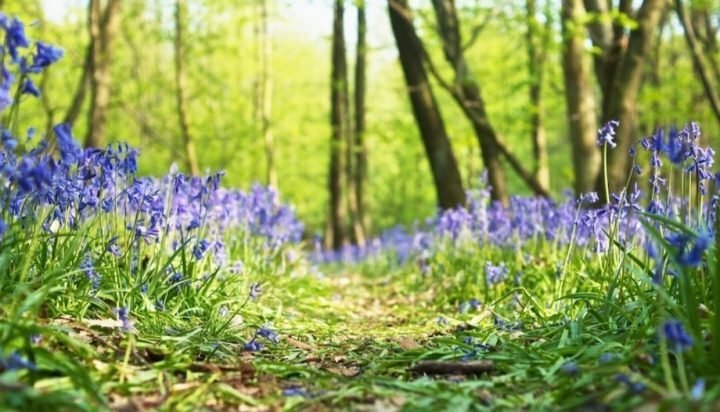 Here are ten of the best around Sussex. Repast – clever name, brilliant idea. This Haywards Heath-based supper club from food historian Sam Bilton has menus themed around historical events. She’s recently brewed up Elizabethan era marmalade and created 17th century aphrodisiac tarts and 19th century Burns Night starters. Events coming up include a Victorian afternoon tea for Mothers’ Day and the wonderfully entitled Fabulous Fanny’s Birthday Celebration – marking what would have been Mrs Craddock’s 110th with 60s and 70s dishes. African food doesn’t get as much of a showcase as other national cuisines in the UK but Nigerian-born Lerato is keen to redress the balance. In Eastbourne, Brighton and London she holds regular supper clubs with spicy African and fusion dishes using seasonal ingredients . She also runs cooking classes in the same areas. Watch out too for pop-ups with yoga classes and paddleboarding in the warmer months. Read about Muddy’s visit to a Lerato supperclub here. The food is less foreground but still tasty at the Bookish Supper Salon evenings, which each see a couple of authors reading from their new books. They’re run by writer Laura Lockington and literary producer Sarah Hutchings. I tucked into meze and wine while one of my fave comedian’s Isy Suttie read, sang and was quizzed at one the other year. They’ve also had writers from the fashion world spilling the beans. They pop up around every six weeks, now at the Naked Eye Gallery on Farm Mews, Hove. In similar vein, keep an eye on the Book Lovers’ Supper Club. A recent fish and chip supper in Ditchling involved a visit from the author of The Keeper of Lost Things Ruth Hogan. There’s an intriguing sounding Killer Women murder mystery tea coming up at Leonardslee crime festival near Horsham in early March. 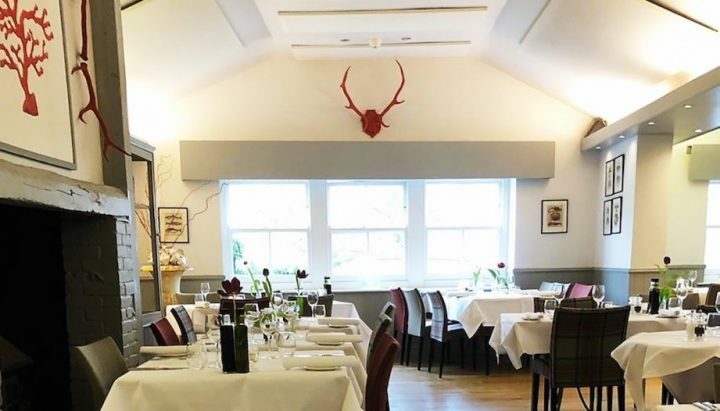 Knepp Castle Estate near Horsham, Architectural Plants in Pulborough and Joss House Barn in Kirdford were among last year’s locations for the Secret Sussex SupperClub which, as the name suggests, pops up at interesting venues all over. Recent dinners have included Persian and foraging themes. Quirky cafe and greengrocer/deli by day, supperclub venue by night, the Pink Cabbage Produce Co. in Mayfield runs regular themed foodie evenings throughout the year, often a couple a month with different nationalities involved. Venice by Candlelight, A Night at the Ritz and A Balinese Bash are among those coming up for spring. Johnny Depp was seen in the village recently, so who knows who you could be rubbing shoulders with! 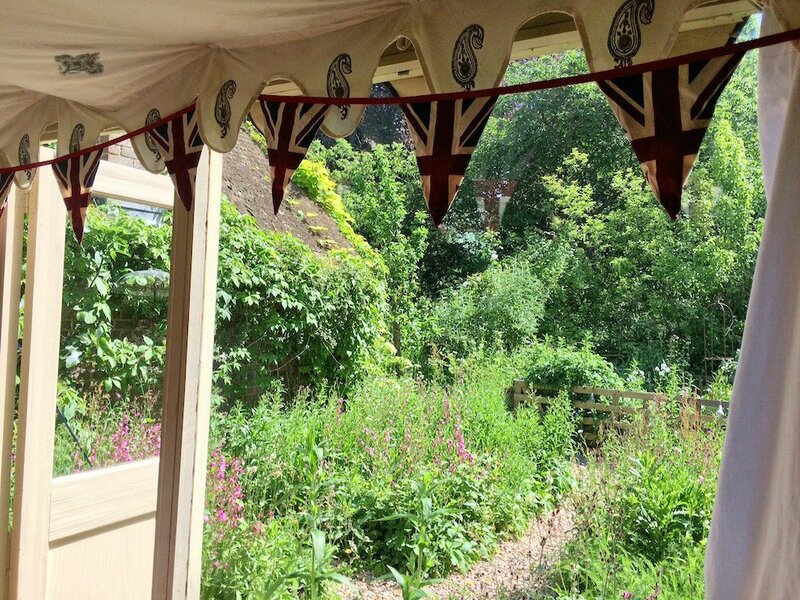 The gorgeous Beanstalk Tea Garden with its vintage Indian tent at Firle has supperclubs in the warmer months. Middle Eastern and Chinese themed nights were among those offered last year. It reopens late April. Read the Muddy feature on a circular walk on the South Downs to the Beanstalk. The beetroot in the logo is a clue to the focus of a Shoreham-by-sea based company with a pun-tastic name. If you’ve caught the vegan bug that seems to be sweeping the nation, the Up Beet Food Co.’s supperclubs are the place to head. The company also does catering for events. 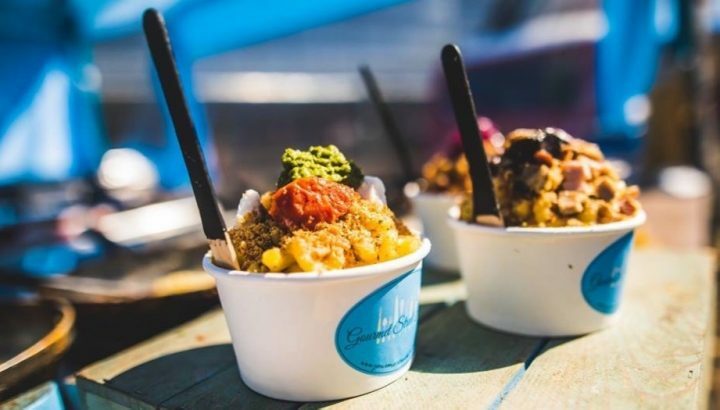 Keep an eye out for its next pop-ups in Shoreham and Brighton. Brighton-based and BYOB, Alright Treacle likes to ring the changes, be that an anti-Valentine’s event last year or rainbow-hued dishes for Pride. It has even served courses themed to different Spice Girls! 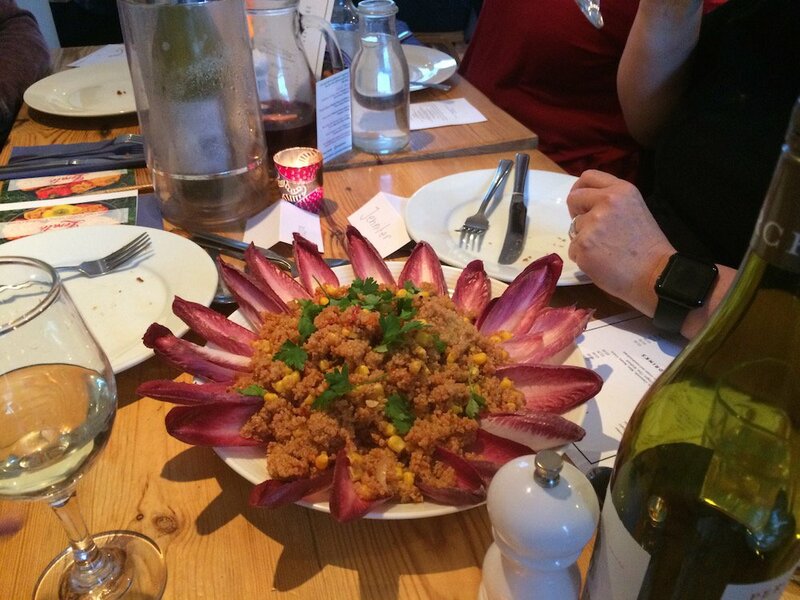 The Sea Kale cafe in St Leonards also hosts supper clubs most months using seasonal produce. 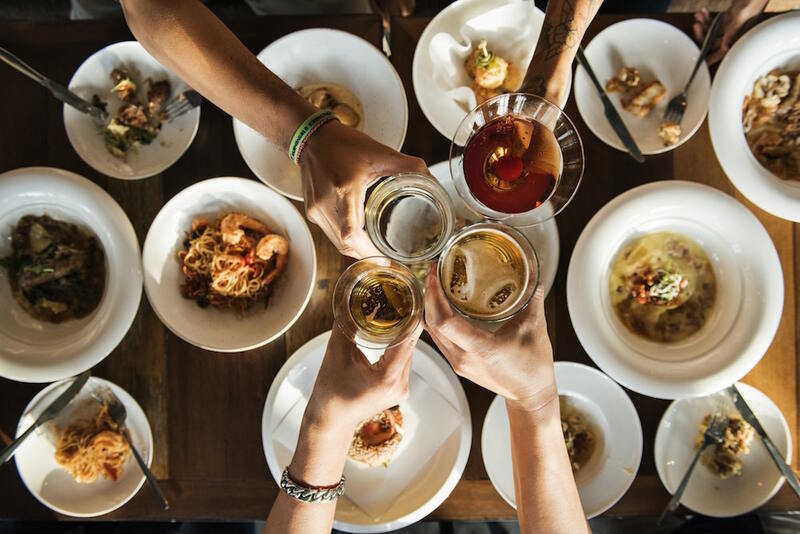 The four course Feb 12 event is down to the last few places so be quick to get stuck into a menu that features scallop with cauliflower and apple, a seafood and mushroom broth, duck, and pineapple upside down cake. There’s the option of BYOB or local wines, ales or cider to buy on the night. Got a fave supperclub near you? Please share. Definitely have a favourite supper club – Secret Sussex Supper Club produces stunning food out of often foraged ingredients every single time! Definitely Sussex’s best kept secret! Check out @secretsussexsuperclub on Instagram! Hi Heidi, great to hear it gets a big thumbs up from you.